Will the EU call out Italy's bluff on the budget deficit plan? 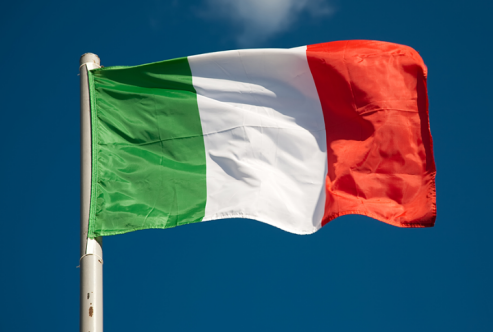 Italy's economy ministry released its latest forecasts on growth projections and the deficit target for the next three years overnight and to say the least, it doesn't paint a realistic picture. The budget deficit target for 2019, 2020 and 2021 is forecast to be 2.4%, 2.1% and 1.8% respectively. That's what the market is focusing on but the other part of the equation is to look at how this fits into economic growth as well. And that's where question marks will have to be raised on their projections. GDP growth for 2019, 2020 and 2021 is forecast to be 1.5%, 1.6% and 1.4% respectively. Those figures - especially for 2019 - are just way too high. For some context, the government just cut its 2018 GDP growth forecast from 1.5% to 1.2% while at the same time revising higher the 2018 deficit from 1.6% to 1.8%. And as for next year, the IMF only forecasts Italy to record a GDP growth of 1.1% while the consensus from Bloomberg's latest survey of economists doesn't see the economy growing by more than 1.2% next year. It certainly looks like Italy will be going with these figures as they make their proposal to the EU on 15 October and the question now is will the EU call out Italy's bluff here? The growth forecasts are overly optimistic and it will take a really miraculous plan/proposal to justify such figures in my view. The EU has so far been going with the rhetoric that they won't accept such growth projections to accompany the 2.4% deficit target next year. And the fact that Italy is saying "we won't keep to the proposed 2018 target of 1.6%" is adding insult to injury really. So, if the EU really does abide by their recent views, then we're in for a treat in a couple of weeks' time as Italy heads for a collision course with top EU bureaucrats. Get your pop corns ready, folks. Things are about to get really interesting.